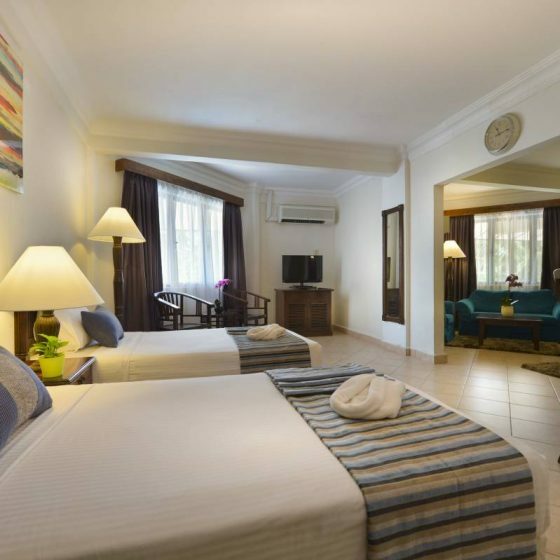 ēRYAbySURIA Cherating guest rooms reflect the relaxed, elegance and understated sophistication of Cherating. 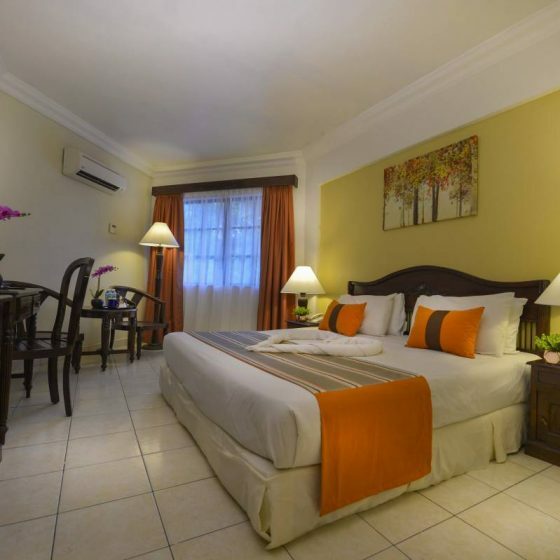 Our rooms exude the right amount of seaside vibe that you need, with all the necessary modern amenities for your convenience, to make you feel at home, away from home. 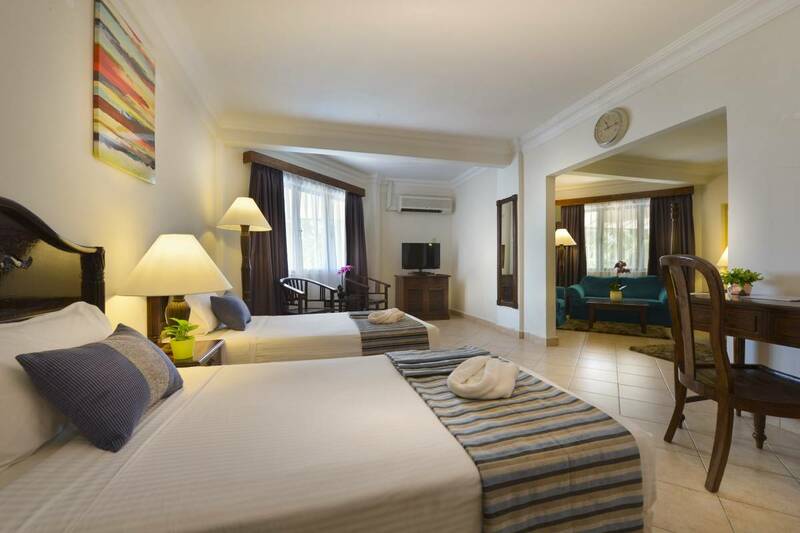 Like the surrounding beach, the guest rooms are cool, calm and collected. 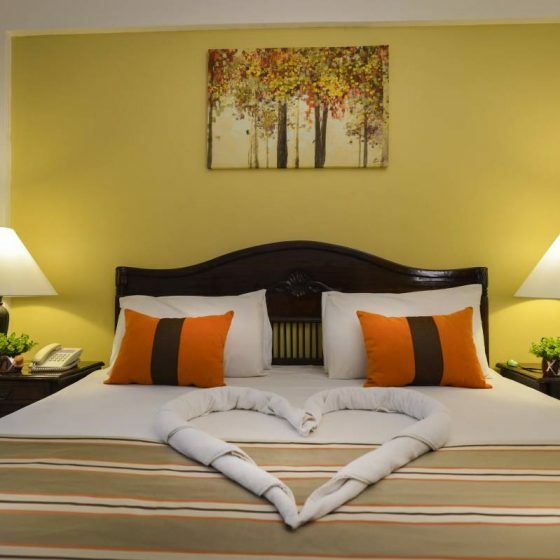 Cozy and delightful rooms offering panoramic garden (and mountain) views that will feast your eyes with its serenity. 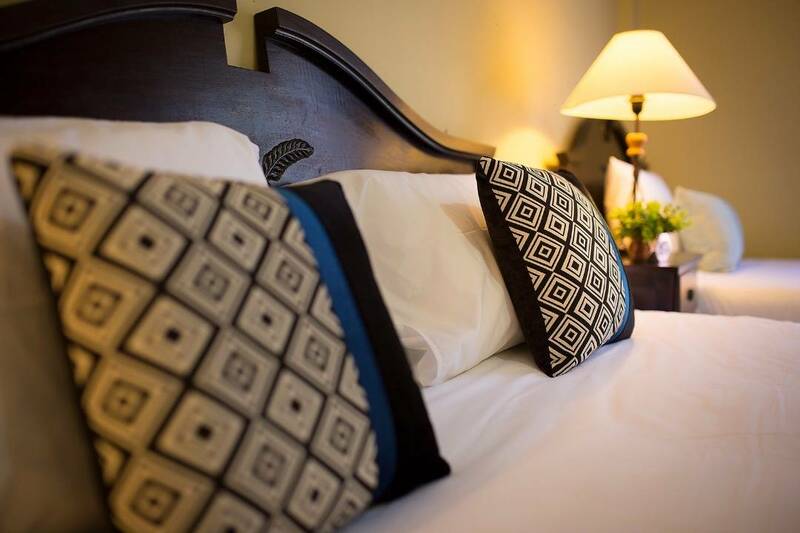 The deluxe rooms accommodate up to two adults with a king-sized bed. 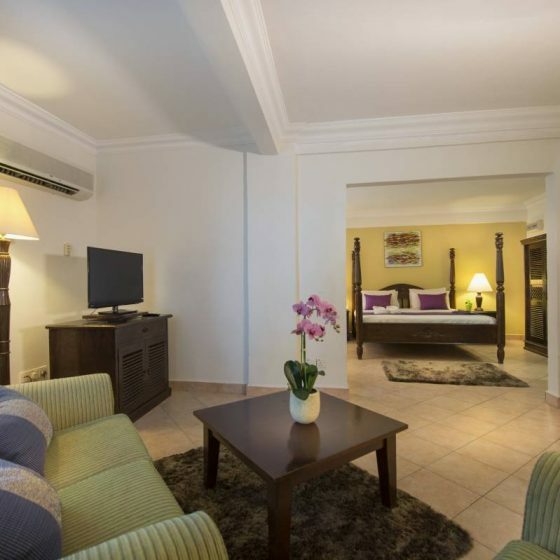 Each room measures 25 square metre and inter-connecting rooms* are also available – a great choice for an enjoyable family vacation. Picturesque rooms offering enchanting views of the South China Sea that will provide you with an immediate sense of peace and tranquillity. 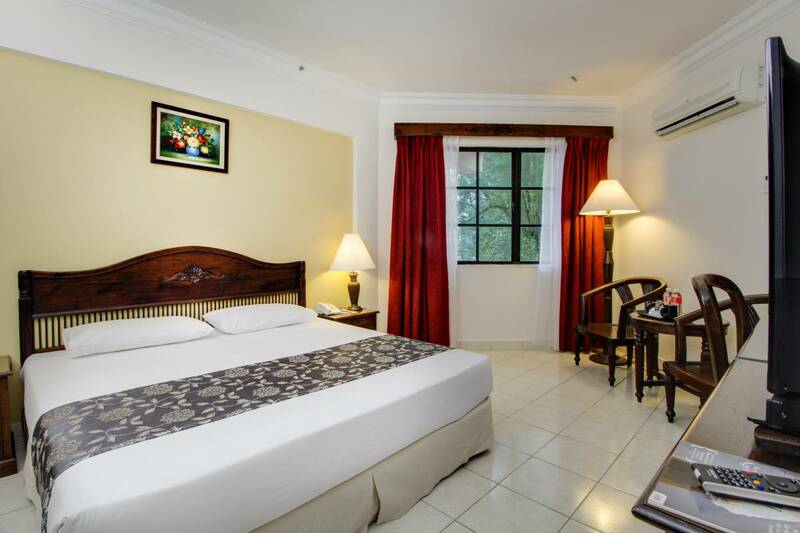 The quaint room accommodate guests with 2 Single Beds. With approximately 26 square metre in size, the rooms also feature inter-connecting doors* and shower with bathtub. Ideal for visitors who desire both – fun and rejuvenation during the stay. Picturesque rooms offering enchanting views of the South China Sea that will provide you with an immediate sense of peace and tranquillity. 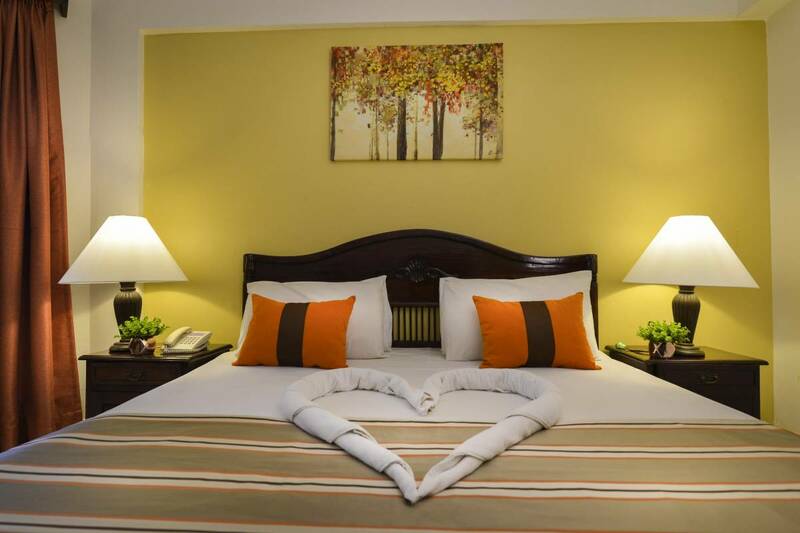 The quaint room accommodate guests with a king-sized bed. 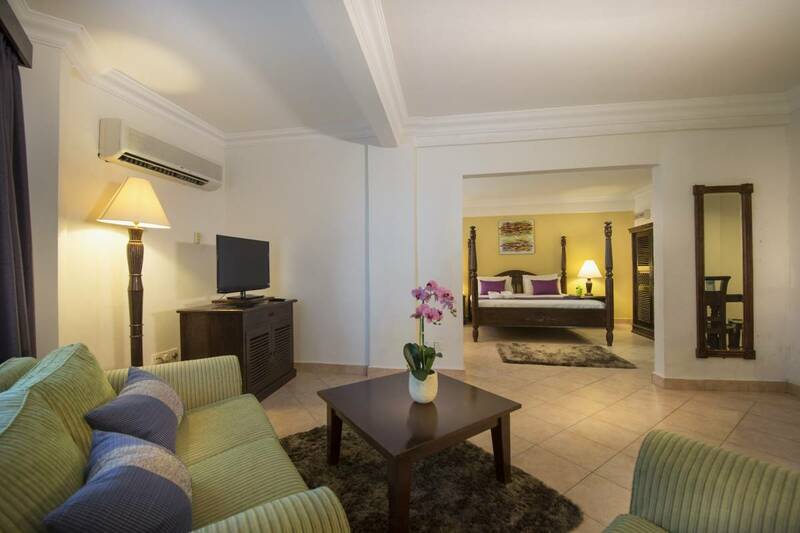 With approximately 26 square metre in size, the rooms also feature inter-connecting doors* and shower with bathtub. Ideal for visitors who desire both – fun and rejuvenation during the stay. 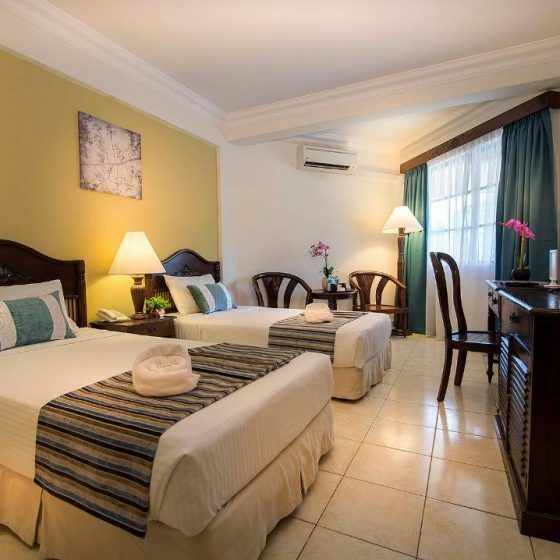 Situated on the ground floor that gives you a direct access to the sea, these are the excellent rooms for those who wish to drift away from the complexity of the city life. 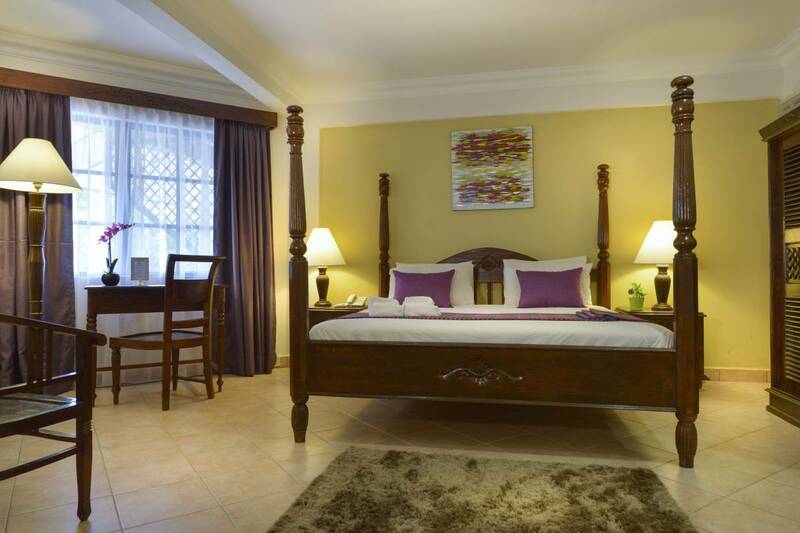 These rooms feature one king-sized bed that is fitted to a high standard and accommodate up to 2 adults. Each room measures at 31 square metre and features a private balcony for you to be mesmerised by the sound of the waves and the stillness of the ocean that will recharge your body, mind and soul. Picturesque rooms offering enchanting views of the South China Sea that will provide you with an immediate sense of peace and tranquillity. 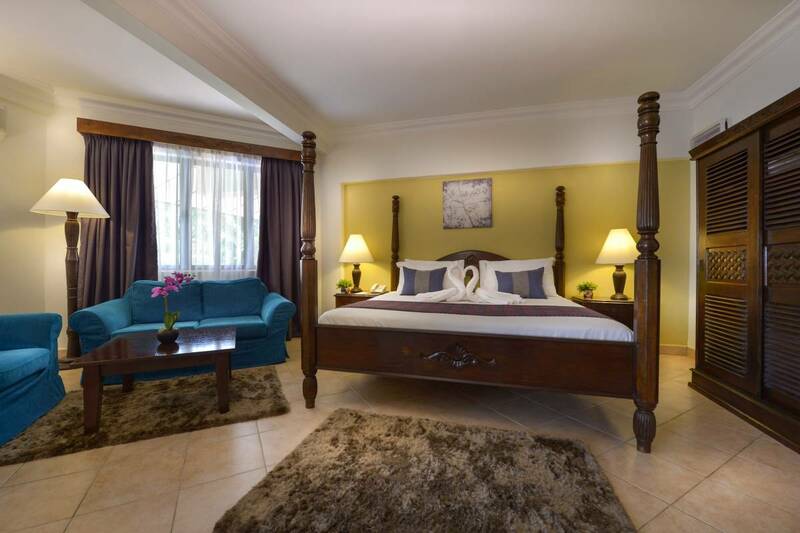 The quaint room accommodate guests with 3 Single Beds. 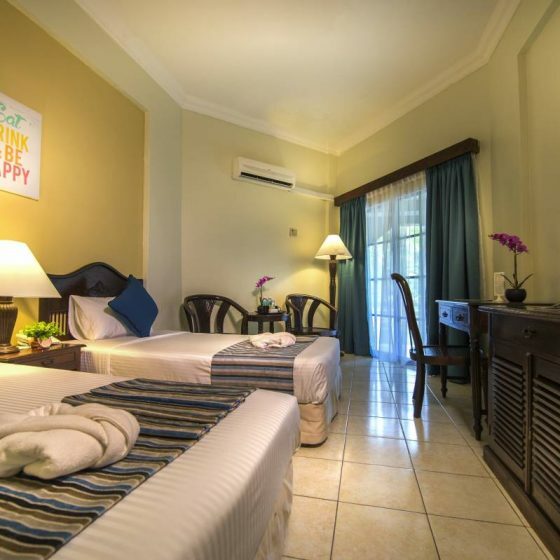 With approximately 26 square metre in size, the rooms also feature inter-connecting doors* and shower with bathtub. Ideal for visitors who desire both – fun and rejuvenation during the stay. 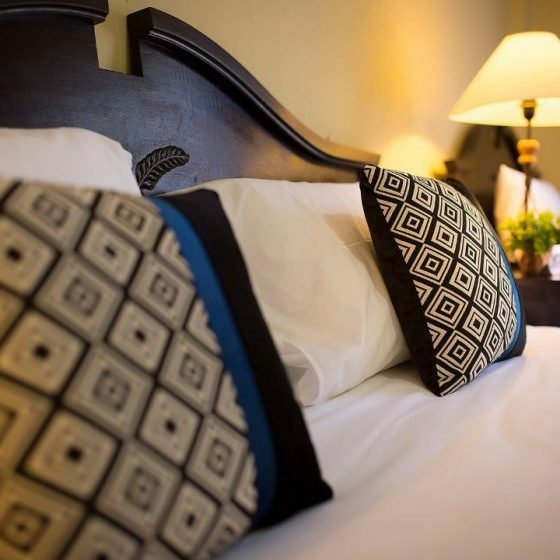 Charming and poise accommodations on ground floor which open up to our lush garden courtyards through its grand balcony. 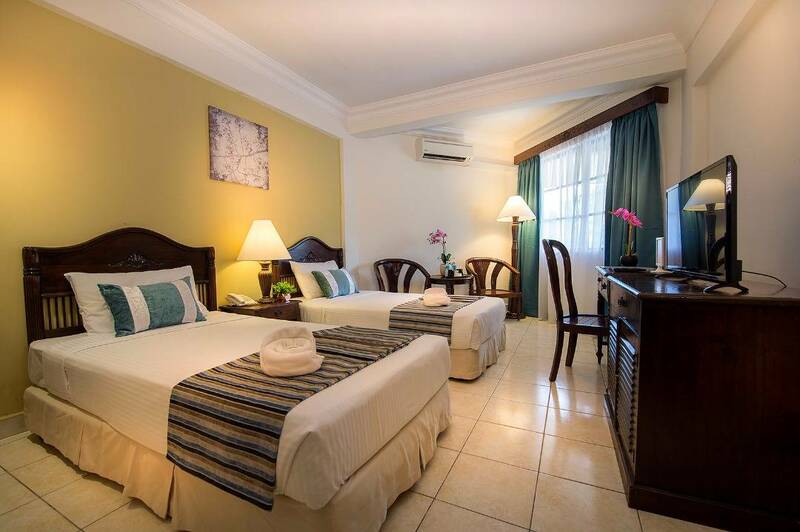 These spacious private rooms welcome you with either two king-sized beds. 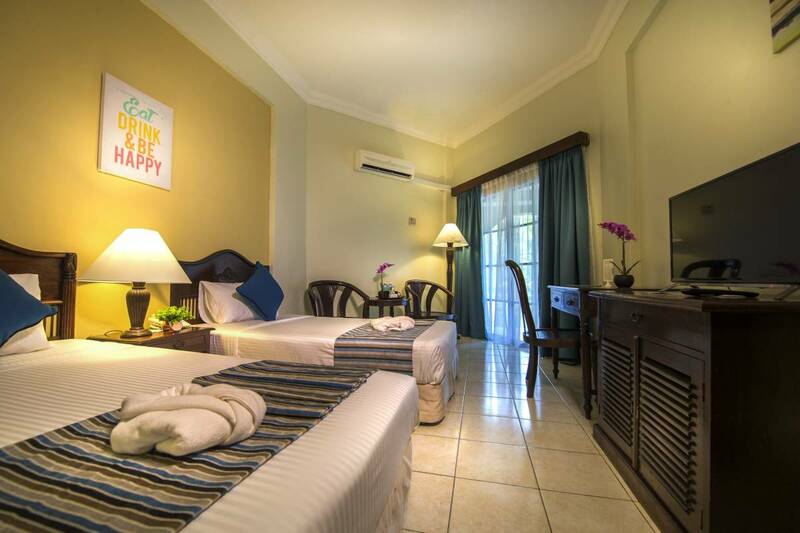 Measuring at 29 square metre, the rooms will certainly make your stay a calm and memorable one. 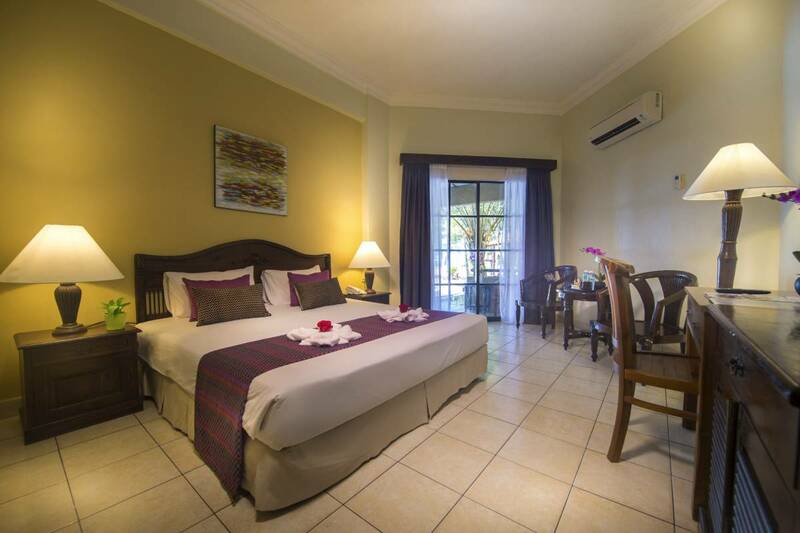 Premier beachfront hotel rooms, offering corner units with panoramic sea views stretching down the long-sandy beach – and did we mention the gorgeous sunsets? 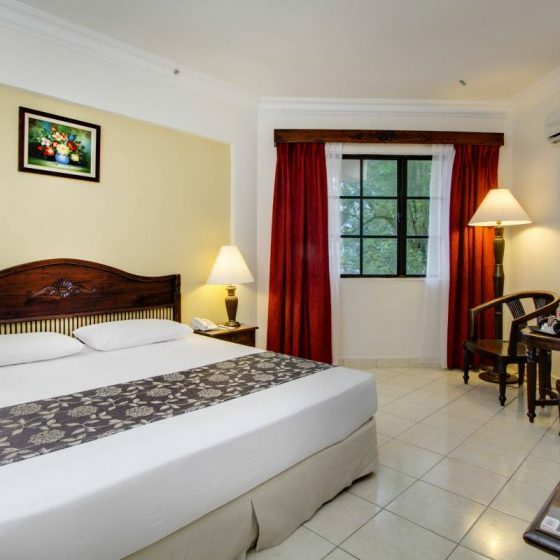 Casually elegant and spacious at 53-56 square metre, these king rooms are equipped with modern room facilities that include a shower with bathtub. 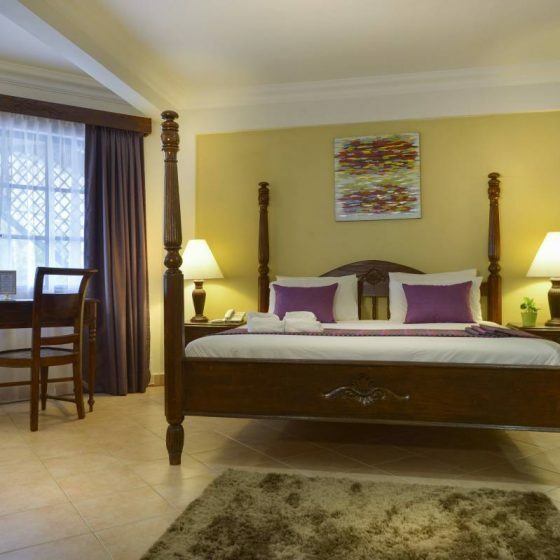 Accommodate up to 2 adults and 2 children and suitable for a relaxing family retreat. 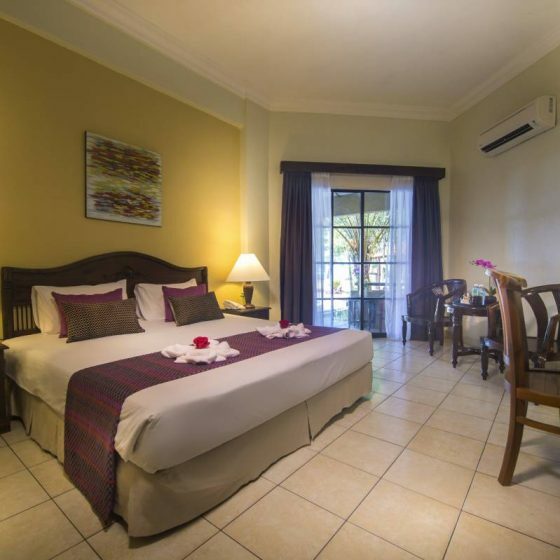 Premier beachfront hotel rooms, offering corner units with panoramic sea views stretching down the long-sandy beach – and did we mention the gorgeous sunsets? 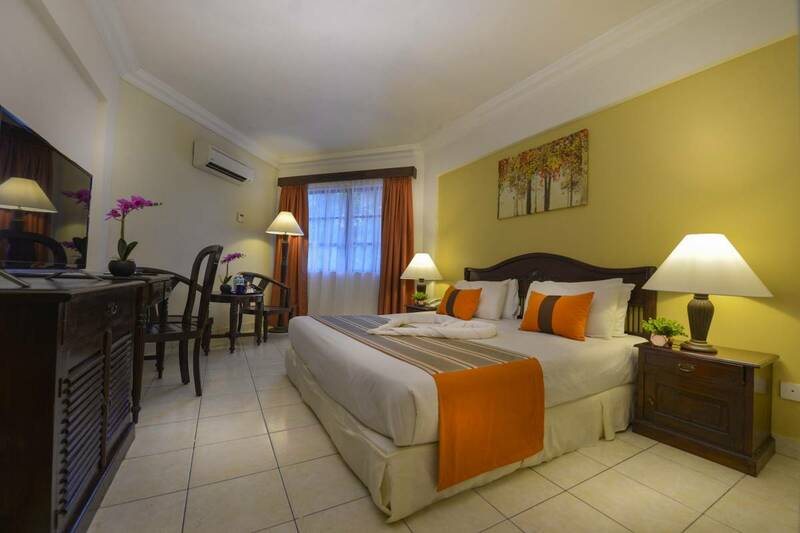 Casually elegant and spacious at 53-56 square meter, these king rooms are equipped with modern room facilities that include a shower with bathtub. 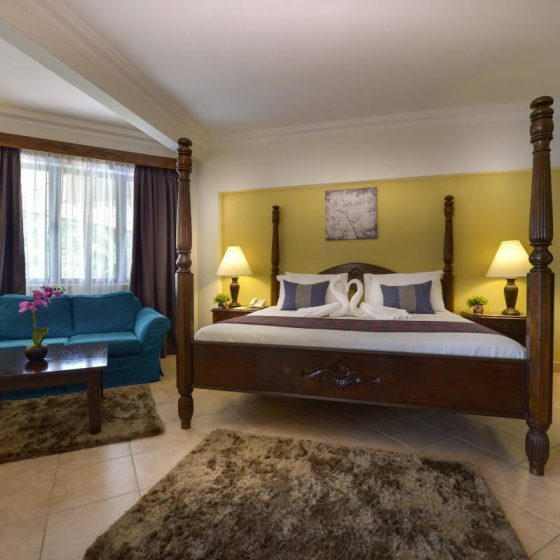 Accommodates up to 2 adults and 2 children and suitable for a relaxing family retreat.